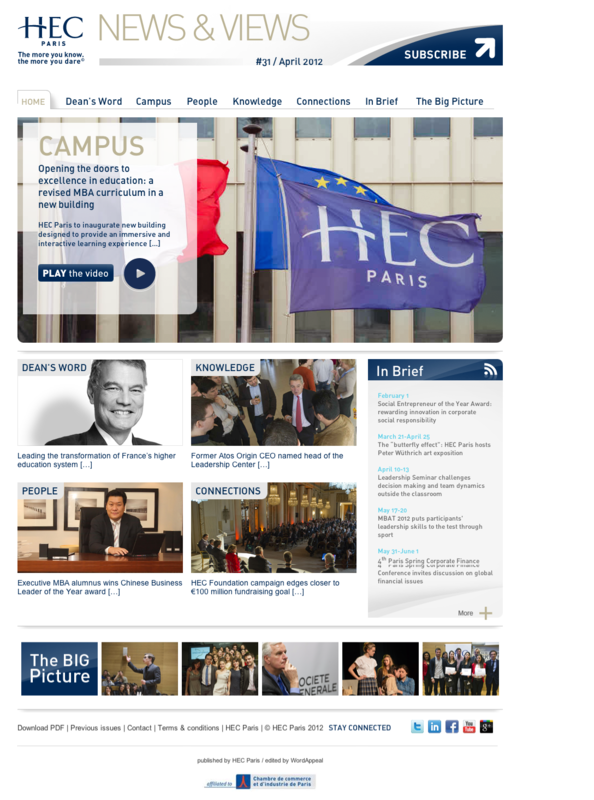 HEC Paris’ quarterly newsletter consists in a mini-website with an e-mail. Contents are edited by the Agency, and the newsletter is sent on behalf of the Client through MailPerformance’s SaaS routing service. 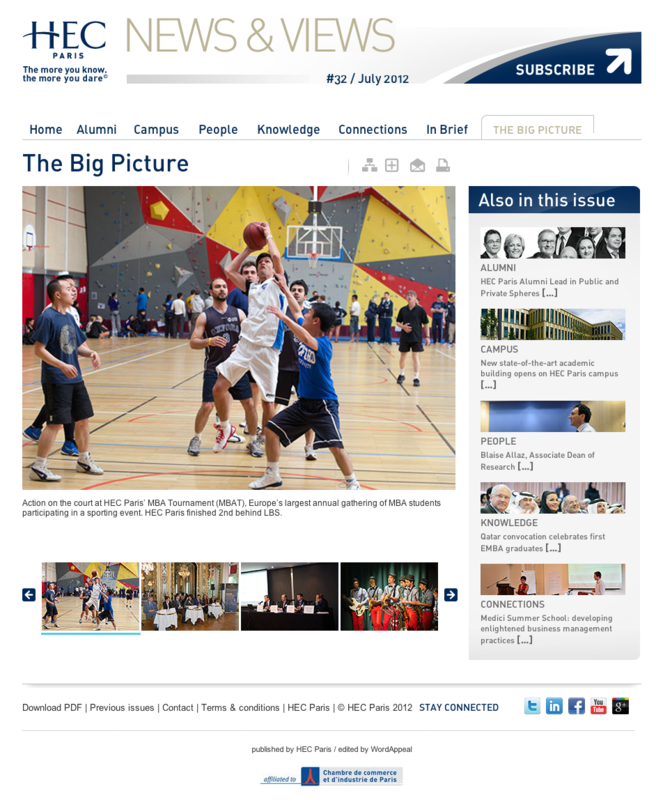 We create a complete new version of the website for each release. We work closely with the Agency at every stage of the project.